The pilot Meal Ticket project: 11 meals with Portland Art Museum staff, 2011-12. Cookbook designed by Justin Flood. Meal Ticket at the Silver Social Club, 2013. The Luncheon series bought together different groups of senior women to a home-cooked luncheon and recipe exchange at two locations- Atlantic Center for the Arts' Harris House and Babe James Community Center- a reality of a segregated south. The recipes from the 12 luncheons were complied into a community cookbook. Sharing a meal together is fundamental to the human experience and the development of culture. 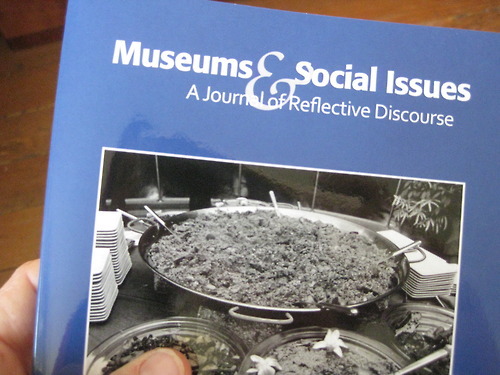 Community cookbooks have a long legacy in the United States of identifying and celebrating communities, such as museum docents, church groups and the Junior League. They have often been used not only for fundraising, but also as collective memoirs of place and culture. Meal Ticket brings together different individuals and groups for home-cooked meals and recipe exchanges that facilitate conversation and community. The recipes are compiled into community cookbooks, creating unique group identities, while the meals propose temporary utopias. A recipe is a set of instructions, not only for food but also for disaster, a painting medium, a good marriage, etc. The recipe exchanges spark storytelling about culture, family, and values. I have facilitated these meals and made cookbooks with museum workers, groups of arts and tech workers, performance artists, segregated senior citizens in the south, and international musicians, among others. For Meal Ticket in Florida, interestingly, the same or similar recipes were offered with different titles: Watergate Salad and Heavenly Hash are virtually identical recipes coming from women with very different backgrounds. With Portland Art Museum staff, the meals represented acts of silo & hierarchy-busting.